The Centre is likely to table a Comptroller and Auditor General of India (CAG) report on the Rafale deal during the Budget Session of Parliament, which is scheduled to begin on January 31. New Delhi: The Centre is likely to table a Comptroller and Auditor General of India (CAG) report on the Rafale deal during the Budget Session of Parliament, which is scheduled to begin on January 31. The government would present the Interim Budget on February 1, ahead of Lok Sabha Elections 2019. The tradition in an election year is to present an Interim Budget or Vote on Account. The full Budget is presented by the new government after the elections. A media report has claimed, while quoting an official, that only three copies of the final report will mention the price of each aircraft and these will most likely be given only to Ministry of Defence (MoD). The official added that the redacted copies will be submitted in the Parliament. This means that if the Public Accounts Committee wants to know the price at which the aircraft deal was made then, they will have to ask the MoD to provide them with the relevant copy. Parrikar, on the other hand, has reportedly written a letter to Rahul Gandhi accusing him of politicising his visit. In the letter, he has mentioned that during the meeting, no talks on the Rafale deal happened. On December 14, the Supreme Court had dismissed all the petitions seeking a court-monitored investigation into the Rafale deal. The apex court said that it did not find any material to show commercial favouritism. 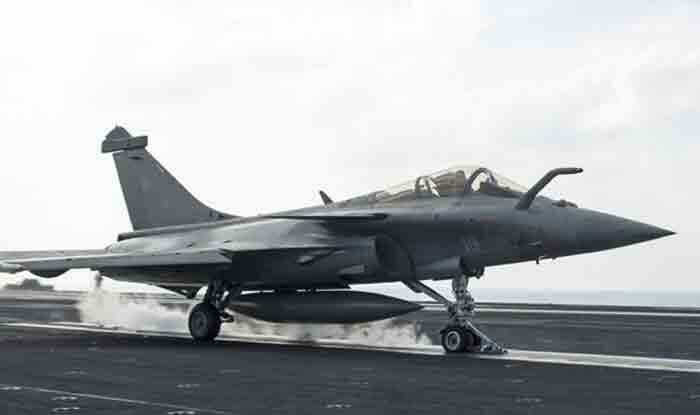 The bench, headed by Chief Justice Ranjan Gogoi had said there was no occasion to doubt the decision-making process in the multi-billion dollar Rafale fighter jet deal with France. Adding, it said that there had been a necessity of fighter aircraft and the country cannot remain without fighter jets. The Congress has been alleging that the deal was overpriced, violated procedures, and was intended to benefit the Anil Ambani-promoted Reliance Defence as the “offsets partner”. Meanwhile, the BJP has rejected all the charges, insisting that the deal signed by the NDA government was honest and cost less than what was decided during the UPA dispensation.